We speak with Brian Greif, a passionate art collector, street art curator and Executive Producer of the highly acclaimed 2017 Documentary ”Saving Banksy”. He confesses that he never expected he would be colaborating with the high calibre street artists he does nowadays. This is the result of his decision to leave his career just a few years ago. Read on to find out more fascinating facts about his numerous projects and his views on all hot issues around the street art movement! My name is Brian Greif. I currently live in Nashville, TN – but split my time between several different cities organizing different art projects. I am the owner and co-founder of 2:32 AM Projects. We advise artists on projects and work as personal “art advisors” for clients interested in buying/collecting art. – What is street art for you? What impact has it had in your life? I have been an artist and involved in art projects all my life. I feel in love with street art living in San Francisco. I was lucky enough to meet and do projects with amazing artists like Ben Eine, Roa, Herakut and Niels“Shoe” Meulman. Most art is private, it’s done by artists in their studios and then shown in galleries, which are intimidating to most people. To me Street Art and Graffiti are incredibly important movements because the work is not done in private. It’s a constant coversation with the public on walls and through social media. I was so inspired meeting these artists and seeing what they do in public spaces, that I left my career in the TV business in 2013 to work exclusively on street art projects. In my opinion, Street Art and Graffiti is one of the most important art movements ever. There has never been an art movement that can be found actively practiced in every major city in the world. So far I have organized major mural projects in a couple of different cities. The biggest being The Nashville Walls Project – in Nashville Tennessee. Last year we borught nine international artists to Nashville to do large scale murals. Artists included; Rone, Above, Herakut, Curiot, Mike Shine, Niels “Shoe” Meulman, Adele Renault, Mars1 and Louis Masai. I have also curated gallery shows for Pure Evil, DFace, Risk and others. I just finished curating the first Daleast show since 2015 at a Gallery in San Francisco. As a side note, I am also the Executive Producer and subject of the documentary “Saving Banksy”. The film is about the importance and commericalization of street art. That is hard to say. I have many friends that are amazing street artists. They all do breath-taking work and are inspriations. Over the past three months, I have worked very closely with Daleast on his first solo show since 2016. I admire everything about Daleast. Not just his work. but also the way he lives his life, his personality. He is one of the most talented and genuinely wonderful people I have ever met. I think it’s wonderful. Artists in this genre are incredibly talented. Their work needs to be celebrated and appreciated. That is the major focus of the movie “Saving Banksy”. We want people to apprecaite these aritits. Help the artists earn a good living through their studio work. Street Art and Graffiti are about giving to society and making comments on societal issues. It needs to be appreciated and embraced. Right now I think Berlin and Los Angeles are the major hubs. Many international street artists are moving to those two cities because they can netowrk with other artists and their art is appreciated and supported in those locations. 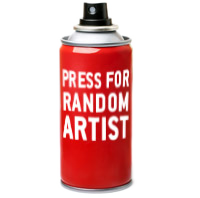 I am getting ready to start another documentary about the Street Art World, with a third film possibly in the works. We will be bringing a new series of artists to Nashville TN in April to do more murals. – What is the biggest challenge when organising a festival? Finding funding usually is the most difficult. We were fortunate with Nashville Walls Project, in that Gibson Guitars stepped forward in the first year to fund the project. I have been contacted by several other cities about doing mural festivals or projects, but most just don’t have the money to cover the costs. – Do you remeber any occasion in which something went horribly wrong? I was doing a mural in San Franciscio with James Reka four years ago. Normally I stay with the artists from the time they start painting, until the time they are done for the day. On the second night of painting, I needed to leave for a meeting. James told me he would be fine by himself. I had just arrived at my meeting when I got a call from James saying the boom lift had stopped working and he was stuck 60-feet in the air. I rushed back to the site to find James safely on the ground. A San Francisco Police officer had happened by and was able to reboot the lift and get James down. -How did your latest documentary ”Saving Banksy” take off from an idea to realization and what difficulties did you encounter? I had just finished a documentary project in 2010. I was contemplating ideas for a new film when Banksy came to San Francisco. Seeing the strong positive public reaction and then the city mandate the paintings be removed gave me the idea for Saving Banksy. The general public loves street art and graffiti, but city officials and people in power don’t value it. That was the original idea. The difficulty was every time we thought we had an ending, something new would happen and we felt we had to keep shooting. Private collectors and art dealers became aware that I had removed the Haight Street Rat two years after it was taken off the wall. It was then we had multiple offers to buy the Rat. By the time we finished filming the highest offer to buy the Rat was $700,000 . I have since had offers exceeding $1.5 Million Dollars. – Do you have a wild project that you dream of achieving some day? There are many projects and artists I would love to work with. Being able to work with artists like Herakut, Daleast, Risk, Ben Eine, etc., is a dream already. I left the safety of a regular job three years ago. I never dreamed I would be working with the calibre of artists I am working with now. -Why should someone download this documentary and watch it? If you love street art and graffiti, download it because you will hear from some of the world’s greatest artists: Risk, Revok, Ben Eine, Blek Le Rat, Hera, Doze Green, Anthony Lister. We also have some amazing exclusive video of these artists and more painting all over the world. If you are not a street art fan, watch the movie because the story is fascinating. We have been given “top critics pick” from the New York Times, LA Times, Hollywood Reporter and we are one of the highest rated movies on Rotten Tomatoes. My major on-going project right now is trying to ensure the on-going success of the movie “Saving Banksy”. The movie is one of the most critically acclaimed films of the year, but since we did this indepedantly and not through a major studio, getting it infront of people is a lot of hard work. The movie has been in theaters since Janurary and is now on Itunes in 20-different countries. We think the message of the movie is really important and we are wokring hard to make sure as many people as possible see it. Yes, a mural is always better than a blank wall! Thank you Brian, It’s been great to know more about the mind and person behind such great projects. The ‘’I Support Street Art’’ team.